For more information on our service and our brand new membership plans give us a call. 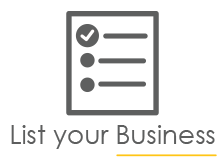 Once qualified, you'll be asked to provide us with a list of your services and we'll add your business to our search results, it really is that easy! You can start on a Free Trial to see how you like it and how it works for you. If you want to improve your results we have a range of tailored plans that will help you boost your listing, improve your margins and help develop your business.